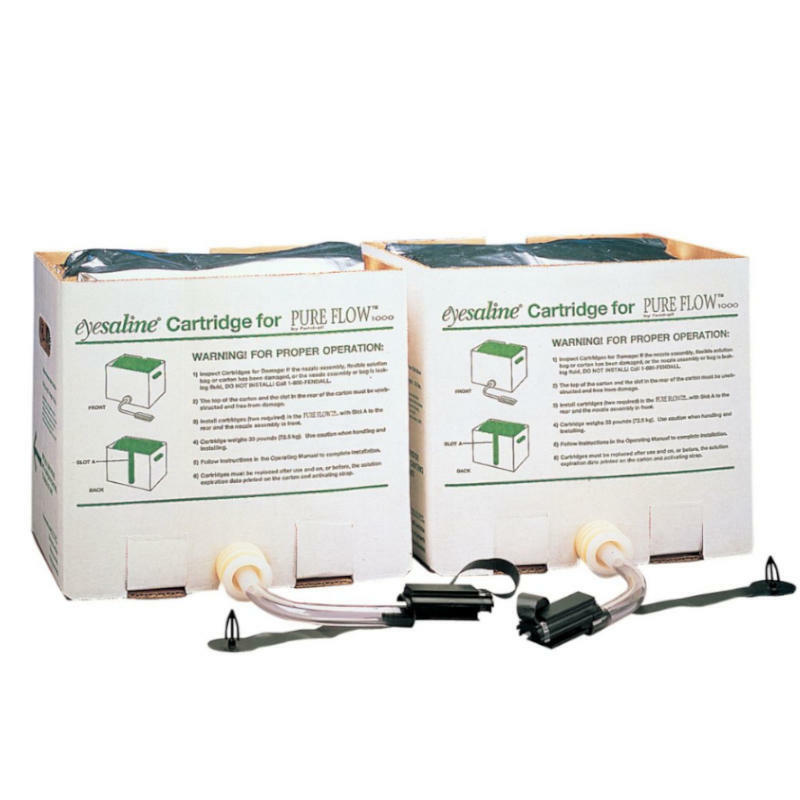 The Fendall 1000 Eyewash Station Cartridge is factory-sealed with a preserved buffered saline solution that has a 24 month shelf life from the date of manufacture. It is boxed in two halves and weighs a total of 70 lbs. When compared with standard solutions, it offers the ability to lower maintenance costs because there is no need to change the solution cartridge unless it is activated or the 24 month period expires. When the eye wash cartridge needs to be changed, just drain it, remove it and replace it.